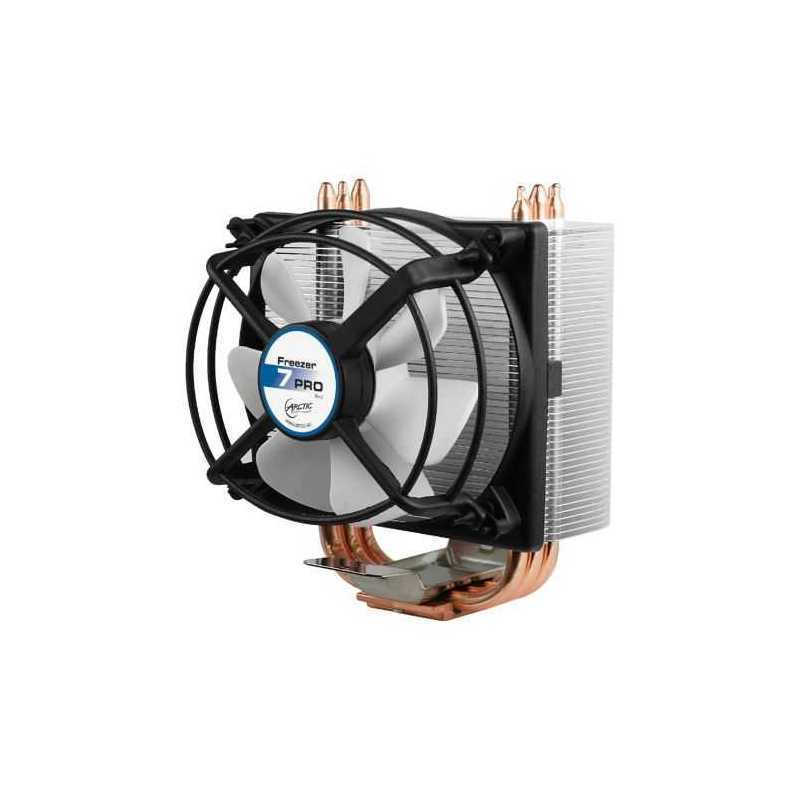 A 92 mm PWM fan, 45 fins, 3 double-sided copper heatpipes in combination with pre-applied MX-2 high performance thermal compound provide excellent cooling performance and improve heat transfer from the CPU. In a test conducted by Kitguru, the Freezer 7 PRO Rev.2 successfully reduced the CPU core temperature of an Intel Core i7 920 by 16.5 degrees. 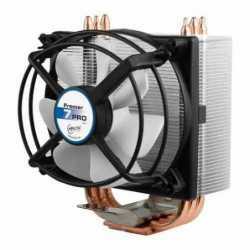 The test done by Tom's Hardware has shown that the Freezer 7 PRO Rev.2 is 3-15 dBA quieter compared to the Cooler Master Hyper 212 Plus, Tuniq Tower 120 Extreme and Thermaltake Frio at full load. The Freezer 7 PRO Rev.2 features multi-compatibility with AMD and Intel sockets whereas the Freezer 64 PRO features wide compatibility with AMD sockets. Its simple mounting system is designed to fit all current CPUs. The Freezer 7 PRO Rev.2 is compatible with AMD Sockets FM2, FM1, AM3+, AM3, AM2+, AM2, 939, 754; Intel Sockets 1366, 1150, 1151, 1156, 1155 and 775. Installation is a breeze with the Freezer 7 Pro Rev.2. The quick and easy mounting system provides excellent stability and it merely takes a few minutes to mount the cooler to the motherboard. Thanks to the pre-applied MX-2 high performance thermal compound, a quick an clean installation is guaranteed! Extremely versatile to fulfill your preference on the airflow pattern within the PC case, you can mount the Freezer 7 PRO Rev.2 in anyway, you want to get the exact airflow you need. Freezer 7 PRO Rev.2: 4 (all) directions for Intel sockets; 2 directions for AMD sockets. AM4	, AM3(+), AM2(+), FM2(+), FM1"
Rotation Speed: "900 – 2,200 RPM (Controlled by PWM)"
Noise level: "0.5 Sone @ 2,200 RPM"